Are you tired of wasting time rummaging around your closet for the perfect outfit or the right pair of shoes? Your closet is one of the first things you see and use every single day, which means it can set the tone for your entire day. Start your day right with an organized closet! When your closet and wardrobe are organized, and it’s easy to find the perfect outfit for the day’s planned events—your day gets off to a smooth, low-stress start. If all that weren’t enough, let’s just talk about how great an organized closet looks. An organized closet simply gives you an overwhelming sense of “ahhhh…” It looks good. It works well. And it feels good, too! Are you ready to create some ahhhh in your closet? This class shows you how, and because this class is on-demand, you can start today! 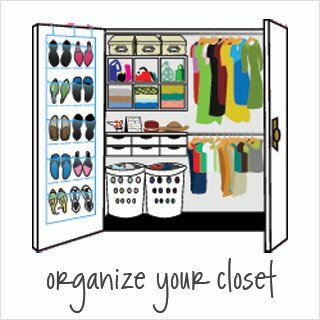 How will you benefit from the Organize Your Closet self-paced class? Transform and organize your closet into a functional and beautiful space that helps you start each day on the right foot. Learn a simple way to organize your closet even if you’re short on time! Find out exactly where to start organizing your closet, and get a step-by-step plan to navigate your way through the entire process. The steps are bite-sized and focused, so you won’t get overwhelmed. Get a simple (and fun!) approach for going through your clothes, so you can easily decide what to keep and what to let go of. If you have a hard time decluttering your closet, you won’t want to miss out on this info. Discover your clothing comfort zone—exactly how much clothing you really want and need! This will give you confidence as you organize and save you money while clothes shopping, too. Learn an easy and effective approach to planning your wardrobe so it fits your lifestyle. You’ll never again have to worry about having a closet full of clothes and nothing to wear! Find out how to make the most of your available closet space, and store your items so they’re easy to see and access. 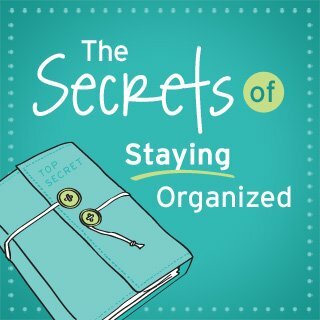 Get professional organizer Aby Garvey’s top tips for solving common closet organizing problems. You’ll find out simple ways to make your closet super-functional without spending a fortune on closet storage and organizing solutions. Discover your closet organizing roadblocks, and find out how to navigate around them. If you’ve struggled with organizing your closet or decluttering your clothes in the past, this info will help you move forward with ease. 69 pages / 2 lessons of easy-to-implement content. Includes reading materials, questionnaires, checklists and planning forms delivered as colorful, printable, and editable pdfs. Add notes to your handouts electronically and create a customized action plan. 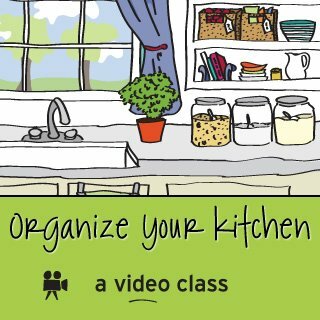 29 minutes of video by Aby Garvey which shows the key concepts of organizing your closet. Videos are broken into short segments for easy viewing. My name is Aby Garvey, and I’m the founder and co-owner of simplify 101. As a professional organizer, I know the dramatic impact an organized closet can have on your daily life, which is why I created Organize Your Closet. I put together my favorite tips, secrets and insights to empower you to create your own organized closet—one that contains clothing you feel good wearing, organized in a way that works for you! You’ll get clear on your goals for your closet and what it stores, plus you’ll find out a fun technique for deciding what to keep and what to let go of. Next, you’ll learn how to maximize your storage space so you can store more in your closet. This lesson also gives you step-by-step instructions for selecting storage solutions that take the guesswork and stress out of organizing your closet. This is where you’ll swing into action! With your plan in hand and goals in mind, you’ll be just steps away from an organized closet. You’ll get a handy reference guide to use as you organize your closet that provides you 5 questions to ask when sorting your clothes. 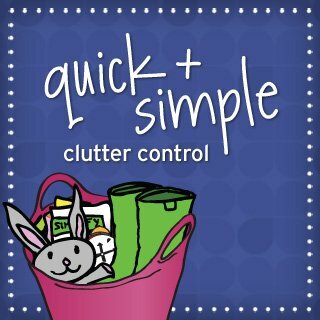 If you struggle with deciding which clothes to keep or get rid of, you will love the simplicity of this system. No more guessing and second-guessing…you’ll make your choices with confidence! You’ll also get a wardrobe shopping list to help you shop intentionally so you can fill your closet with items you truly love and will really wear. Plus, you’ll save money on clothes! You’ll also find out how to keep your supremely orderly and functional closet organized going forward. 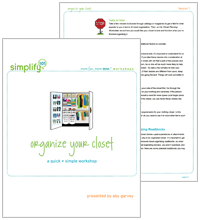 You’ll also get the bonus handout, Using Storage Solutions to Solve Closet Organizing Dilemmas. In this pdf handout, you’ll find out simple ways to solve your most troubling sources of clutter in your closet using readily available closet organizers and storage products. This handout is provided within the workshop download.